Choose from 36 hotels and guest houses in East Sussex. Shown below a just a selection of the hotels available. To search within an area please use the menu on the right. More than just a hotel, this outstanding resort within 1100 acres of countryside has excellent leisure and spa facilities, and luxurious rooms with views of the 2 championship golf courses. 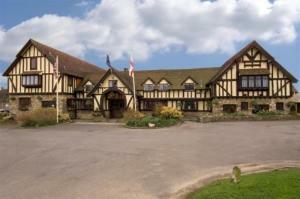 East Sussex National Hotel, Golf Resort & Spa is accessible from Gatwick, Brighton and Lewes. Horsted Spa has a relaxing sauna, aromatherapy rooms and indulgent treatments. There is a 20-metre pool with Jacuzzi, and Technogym facilities. East and West golf courses are among the finest in Europe; the East hosted the European Open and other prestigious events. All rooms are extremely spacious, with air conditioning, luxury beds, superb bathrooms with a walk-in shower, internet access and flat-screen LCD TVs. There is a choice of places to dine, and full conferencing and meeting facilities on site. You are assured of a warm welcome at Loriston House, a lovely Victorian terraced property situated just off the seafront. Completely renovated since being built in 1892, Loriston is now furnished and decorated to a high standard, whilst retaining many of its original features. Here, you will be within walking distance of all the amenities Eastbourne has to offer, including the beach, which is just 40 metres away. Loriston has just been awarded a 5-star award rating. The Brickwall Hotel stands overlooking the village green in the pretty East Sussex village of Sedlescombe. Originally built in 1597 for the local ironmaster, the hotel combines a touch of Tudor times with all the amenities expected by modern standards. Offering a pleasant atmosphere, the Brickwall Hotel has many local beauty spots within easy reach. Guests at the Brickwall can expect to receive a warm welcome from experienced staff. The hotel has a spacious residents' lounge, an oak panelled lounge bar and beautiful beamed dining room. Particular attention is paid to the quality and variety of food served in the dining room, with local produce being used whenever possible. Complementing the cuisine is a well stocked wine cellar. In an attractive setting in the garden, the heated swimming pool is open from May to September. Situated in a prime position on the Eastbourne seafront, close to theatres and 5 minutes walk to the town centre. The Hotel has a high reputation for its friendly and welcoming service. 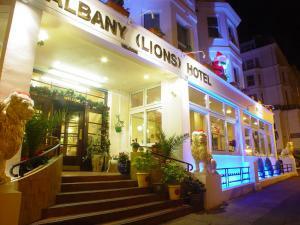 Eastbourne is a beautiful thriving seaside resort and has one of the best sunshine rates in the South.The Albany Lions Hotel is a privately owned 3 star Hotel, located on the magnificent seafront. The Hotel has been recently refurbished to a high standard and you will be immediately impressed on entering the Hotel by the beautiful decor.The Carvery restaurant on the ground floor offers a good selection of foods and beautiful views across the English Channel. The Lions Bar and adjoining Sunlounge are where you can enjoy a leisurely drink or snack lunch. A good selection of entertainment is offered on selected evenings throughout the year. The Town's main theatres are just a few minutes walk away and these offer a superb selection of plays, concerts, musicals etc to please every palette. Offering luxurious accommodation, excellent food, an 18-hole golf course and a spa, this beautiful 19th century mansion is set in 186 acres of landscaped countryside in the heart of Ashdown Forest. Based around an old country mansion house, the hotel's individually styled rooms boast stunning views of the hotel grounds. Surrounded by immaculate lawns, secret gardens, lakes and woodland trails, Ashdown Park Hotel and Country Club is the perfect setting for every occasion. At the Country Club you will find an indoor swimming pool, gym, sauna, spa, tennis court, indoor golf nets, a putting green, a croquet lawn and jogging trails. There are 3 places to dine: Anderida Restaurant with a resident pianist and forest views; the Drawing Rooms; and Fairways, located within the Country Club. Experience the highest standards of cuisine and fine wines. Overlooking the beach and within easy walking distance of the town centre and pier, this AA 4-star character property has been welcoming guests to Eastbourne for over 170 years. One of Eastbourne's original old 'sea houses', the Royal has recently undergone a complete renovation to provide comfortable, modern accommodation with free Wi-Fi throughout and flat-screen TVs. The building's original features have been retained. Bathrooms feature heated towel rails, shaver points, fluffy white towels and complimentary Elsyl toiletries. Start each day with a hearty breakfast in the luminous breakfast room. Choose from real ground coffee, freshly squeezed orange juice, a selection of organic yoghurts, cereals, seeded breads, freshly baked croissants and homemade fruit salad. A farmhouse from 1652 forms the main building of Boship Farm Hotel. It is set in beautiful grounds with an all-weather tennis court and heated outdoor pool (May to September). Situated along the A22, the hotel's 17-acre grounds feature extensive car parking and a helipad. Most bedrooms have views over the gardens or across the countryside. Boship Farm Hotel has a restaurant with wine list, 3 function rooms and a lounge. Original features include a magnificent brick fireplace in the bar, timber beams and a tunnel built during The Civil War to link the building with nearby Michelham Priory. Horse riding, walking, fishing and golf are available locally. This hotel is located in the picturesque village of Windmill Hill, overlooking the famous Hertsmonceux Castle and Observatory with spectacular and panoramic views of the Pevensey Levels. The Horseshoe Inn has en suite bedrooms, a large car park, wireless internet access throughout, a superb restaurant, a bar and a Real-Ale pub. The hotel has 2 function rooms. The Castle Banqueting Room accommodates up to 120 people for events such as weddings (wedding civil licence held) and conferences. The Greenwich Meeting Room holds 20 people, ideal for smaller business meetings. This mid-18th century former inn offers a unique range of accommodation, arresting views and a strong sense of history. Built around 1750 for local sailors and ship builders, the building is thought to have once sheltered the Tenterden gang, who used its many secret passages for smuggling. Whilst these have long since been sealed, The Hope Anchor retains an historic atmosphere. Relax beside a log fire in traditional snug bar, and spend your nights in a choice of fascinating rooms, including those with 4-poster beds and a even a separate 200 year old cottage. The hotel is a 3-star AA rated hotel and has an RAC food dining award. Please note that over bank holidays minimum stays are applied. Please search for 2 night stays across the following dates: 21st-24th March, 2nd-5th May, 23rd - 26th May, 22nd-25th August. Please search for 3 night stays across the following dates: 24th,25th,26th December. Described as a 'luxurious Regency hotel with immaculate rooms' by The Lonely Planet Guide, Christine and Lucho welcome you to their historic, recently refurbished town house. According to the AA, Brighton House puts 'hospitality and comfort high on the agenda', and its clean, fully en suite rooms are well located in the heart of Brighton. Start the day with the largely organic buffet-style breakfast before exploring the beach, The Brighton Centre, The Metropole, the Lanes and Preston Street for dining, all of which are all within walking distance of Brighton House. Situated in the picturesque village of Forest Row on the edge of Ashdown Forest, this hotel is a great springboard for the many fabulous tourist venues in Sussex. Our aim is to offer an historic atmosphere, steeped in old world charm and hospitality. The Brambletye has served as a hotel since 1866 and featured in 'Sherlock Holmes, The Adventure of Black Peter'. Public areas have recently been refurbished to include a smart, spacious open plan bar and restaurant that serves excellent Traditional modern home cooked food. Bedrooms are spacious with modern facilities. With a dramatic location on the cliffs and spectacular views out over the sea, the White Horse Hotel is located on the edge of the South Downs, just 3 miles (5 km) from Brighton. The hotel's attractive bar and restaurant have magnificent sea views and offer an interesting and extensive menu. At the front of the hotel, the decked patio and terrace is a wonderful spot to relax and admire the breathtaking views. There are 19 refurbished and well-appointed en suite rooms, all of which are comfortably furnished and designed. The 6 feature rooms all boast impressive sea views and balconies. With free parking for guests and easy access to all of the region's major roads, the White Horse Hotel has a great location from which to visit Brighton, with its magnificent pavilion, the Palace Pier and the marina. The Sea Life Centre and the unique shops of the famous Lanes are also well worth a visit. 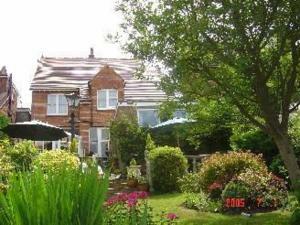 A privately owned hotel located on the beach in the peaceful village of Bexhill-on-Sea. 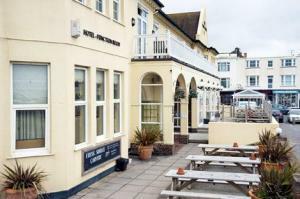 The hotel boasts sweeping views of the ocean and across Pevensey Bay. The hotel is stunningly located in two acres of private gardens, with direct private access to the beach. 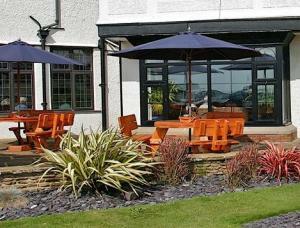 The hotel also boasts two bars and the Oceana Restaurant with unspoilt views across the sea. The hotel's leisure club contains a warm and welcoming swimming pool, hot tub, sauna and steam room. Situated in the heart of Eastbourne, just 100 metres from the beach and the pier, this grade II listed townhouse offers comfortable accommodation and a varied menu of home-cooked food. Just 5 minutes from Eastbourne's town centre and the train station, the Savoy Court Hotel houses 29 en suite rooms, all with TVs and tea/coffee making facilities. Guests of the hotel can enjoy a relaxing drink in the classic bar or tasty home-cooked food in the restaurant. The restaurant uses locally sourced produce wherever possible and there is an extensive wine list offering a selection of wines to complement your meal. The hotel has 5 floors and there is a lift to all floors. With a great location, comfortable en suite accommodation and good food, the Savoy Court Hotel is a wonderful, friendly place from which to enjoy the natural tonic of a seaside holiday, a weekend away or a business or conference visit. One of England's oldest and loveliest inns, with Norman cellars dating from 1156, the Mermaid, rebuilt in 1420, offers tradition and charm in abundance. A jewel in the crown of Rye, the inn has a wide range of accommodation including rooms with four-poster beds and fascinating secret passages. The lounge bar boasts of one of the largest open log fireplaces in the country. The AA Rosette restaurant offers fine British and French cuisine and the head chef is proud to use only the freshest of local ingredients. For many years The Mermaid has been frequented by artists from the stage and screen: Charlie Chaplin, Pierce Brosnan, Andy Garcia and Johnny Depp to name a few. Queen Elizabeth, the Queen Mother and Prince Edward have also visited. Painters from all over the world have spent many a happy hour with brush in hand, capturing the rare character of this beautiful inn. 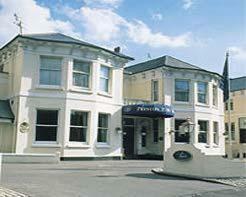 A friendly Edwardian style hotel ideally positioned in the centre of Eastbourne's elegant seafront. The hotel is only a few steps away from the beach and within easy walking distance from Eastbourne's theatres and town centre. The 15th-century Chequers Inn is a hotel, restaurant and pub. Enjoy fresh homemade food, en suite rooms, a cosy bar, original oak beams and real log fires. 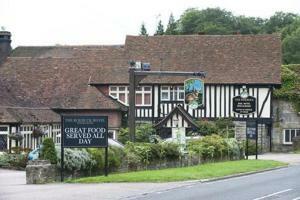 The Chequers is in Ashdown Forest, part of the High Weald area, which is classified as an Area of Outstanding Natural Beauty. The 21 rooms are to the quiet rear of the premises, in the 19th-century extension. Conference and banqueting facilities are available. Wi-Fi is available throughout (at an additional cost). Combining the elegance of the Victorian age with every modern facility, the hotel occupies a premier position on the seafront overlooking the Western Lawns and Wish Tower, with superb views of Beachy Head. The hotel's features include elegant lounges facing the sea, the attractive Regency Bar, 2 snooker and games rooms, (these help to make the hotel perfect for bridge weekends). It is also ideally situated for golf holidays, being close to 3 first-class golf courses, plus 200 acres of parks and gardens. In addition, the shops and theatres are within a four minute walk. The hotel also offers 22 lock-up garages at a nominal charge. For dinner reservations, please advise the hotel on arrival or telephone in advance. Ideally situated opposite Marina Gardens, Rutland Guest House is on the A259 coastal road, a short walk from the beach and a 5-minute drive from Hastings town centre. Rutland Guest House offers contemporary, spacious rooms, with features including a TV and DVD player. Some of the rooms have beautiful sea views, while some overlook the Marina Gardens or the terraced gardens. Guests are offered an extensive breakfast menu in the dining room, with options for vegetarians, children and special diets. Friendly family-run Rutland Guest House is a brief walk from the picturesque promenade. There are also good bus and rail links close by. Free parking is available for guests. This charming 17th-century country house has oak beams, real winter fires, summer barbecues and a beautiful garden. On the A22 road, near M25/M23, the Roebuck is well placed for Gatwick Airport. The Beagle Bar at the Roebuck Hotel serves traditional, fresh bar food, with a wide range of beers. The popular Sunday carvery has 4 meats to choose from. The Antlers Restaurant also offers an interesting menu, with varied wine list. The en suite bedrooms have recently been upgraded with new bathrooms, beds and power showers. Ground floor rooms are available. Forest Row is on the edge of Royal Ashdown Forest, home to children's character Winnie the Pooh. Nearby attractions include the Bluebell Steam Railway and the beautiful Sheffield Park Gardens. Hever Castle, Royal Tunbridge Wells and Brighton are within driving distance. As featured on Channel 5's TV programme, 'The Hotel Inspector', this small, family-run guest house is centrally located on Eastbourne seafront, with fabulous uninterrupted sea views. The Atlanta provides good, friendly service; a comfortable, clean environment; and value for money. 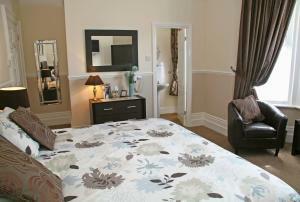 The guest house has 9 en suite rooms. Breakfast is served overlooking the sea. Vegetarians and other special dietary needs can be catered for. Cots, Z-beds and highchairs are available on request. Please note that Atlanta does not have a lift and if you have difficulty with stairs, a room on a lower floor cannot always be guaranteed. PowderMills is a 18th C. listed Country House Hotel in 150 acres of parks and woodlands, situated outside the historic town of Battle. The hotel is richly furnished with antiques and has log fires in the public rooms in winter. The hotel can cater for weddings, conferences and private parties up to 250 guests. 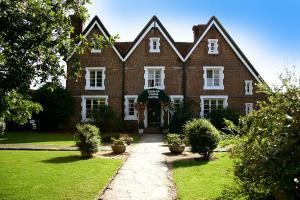 14Th Century Country House Hotel, set in the heart of the Sussex Downs in the pretty village of Alfriston. 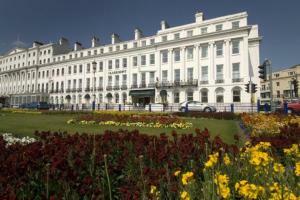 The seaside town of Eastbourne and cosmoplitan Brighton are just a short drive away. Set in four acres of fabulous gardens, Deans Place Hotel has all the facilities for a perfect break - 36 bedrooms, Public bar and lounges, the locally renowned Harcourts Restaurant, an outdoor heated swimming pool (May - September),croquet and boules; and a large terrace for alfresco dining during the summer months. A stay at Deans Place Hotel stays with you forever. The York Hotel is a contemporary cafe bar with 7 delightful en suite bedrooms. The hotel benefits from free car parking, home-cooked meals and friendly staff. The York Hotel has a bar and disco open until 01:00 on Thursdays, and until 03:00 on Friday and Saturday. Family-run, this beautiful red brick Victorian house offers 4-star Silver-Award guest accommodation in beautiful boutique rooms, decorated with a contemporary twist. Tower House 1066 is situated in the quiet heart of St Leonards-on-Sea, a suburb of Hastings. The sea is within easy reach, as is Hastings town centre and the old town's cobbled streets, buzzing with restaurants and coffee shops. There is free, unrestricted on-road parking available. Tower House has a 24-hour licensed bar, a guest lounge with a real fire, a conservatory/breakfast room, a dining/meeting room, a terrace, large gardens and a treatment/therapy suite. Free Wi-Fi is available in some rooms. Tower House 1066 has received a 4-star, highly commended rating from the AA and a Silver Award from VisitBritain. Situated in Preston Village, to the north of central Brighton, this attractive hotel is set near Preston Park and provides a peaceful alternative to bustling central Brighton. Preston Park Hotel offers an attractive location, close to Brighton's largest park and near to Preston Park railway station. From this station regular trains run to Brighton railway station, giving you quick and easy access to central Brighton and the beach. The hotel is easily accessible from the A23 road, connecting London to Brighton. For your convenience, free car parking is available on site. Many bus routes stop close to the hotel, providing you with more options for reaching the centre and the beachfront. The hotel's comfortable bedrooms and friendly bar mean you should feel at home in this conveniently located hotel. The helpful staff are waiting to welcome you and help with your every needs. Fresh, funky and fabulous, this contemporary hotel in exclusive Brighton Marina has a big personality. It is ideal for nightlife and offers ocean views and intriguing menus. Life is easy going at Seattle: parking is free and the hospitality is relaxed. The friendly, intelligent team is never shy with tips on places to visit in Brighton. With cool designs, art installations and retro furniture, Hotel Seattle is a stylish home from home. Sip cocktails in the stylish bar and admire the sunset and marina views from the veranda. The restaurant has an outdoor terrace and floor-to-ceiling windows and a conservatory that add plenty of light. Food is fresh, modern and unpretentious. Recently taken over, Claremont Lions Hotel is now part of the Lion Hotels Group Ltd which is a family owned and run business. You will immediately be impressed by the sense of space in the public areas. The rich wood finish and leather Chesterfields give a feeling of boutique style. All our bedrooms have been recently refurbished and feature a hospitality tray. Furthermore many rooms have fridges. In a superb location in Brighton's Old Steine area, this 4-star hotel has been completely refurbished to offers luxurious boutique-style accommodation. Each luxurious room and suite has a beautiful Regency feel, yet features contemporary comforts and amenities. All rooms are fully air conditioned and have flat-screen TVs, free Wi-Fi and sleek, modern en suite bathrooms. The interiors of the hotel have been finished with elegance and luxury in mind, and the restaurant and bar exude finesse. 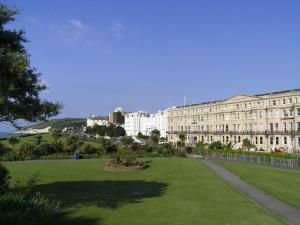 The Radisson Blu has an unrivalled position and boasts great views of the Steine and the sea. The very heart of the city is just a few minutes away, and all of the shops, bars and restaurants are within easy reach. This luxury guest house offers free Wi-Fi and beautiful boutique-style rooms, just 50 metres from the beach, at the seafront end of Warrior Square, reputedly the largest sea-fronted square in Europe Hastings House has a great location, just metres from the sea and within walking distance of St Leonards Warrior Square Railway Station, which offers regular trains from and to London, Brighton and Gatwick Airport. 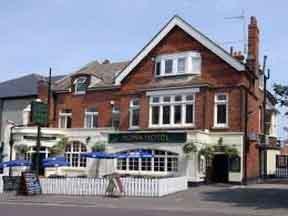 There are many fine local restaurants, pubs and cafes close by, as well as the White Rock Theatre. Stylish and contemporary, all of the rooms are individually decorated and each has its own unique charm. Each room has DVD player, a large flat-screen TV with Freeview digital channels and a spa bathroom with an American-style power shower. Each room comes with a minibar, tea/coffee making facilities, thick, white bathrobes and luxurious toiletries and bathroom products. Free wireless internet access is available throughout.